Remembering Gandhi and Shastri………….. !! 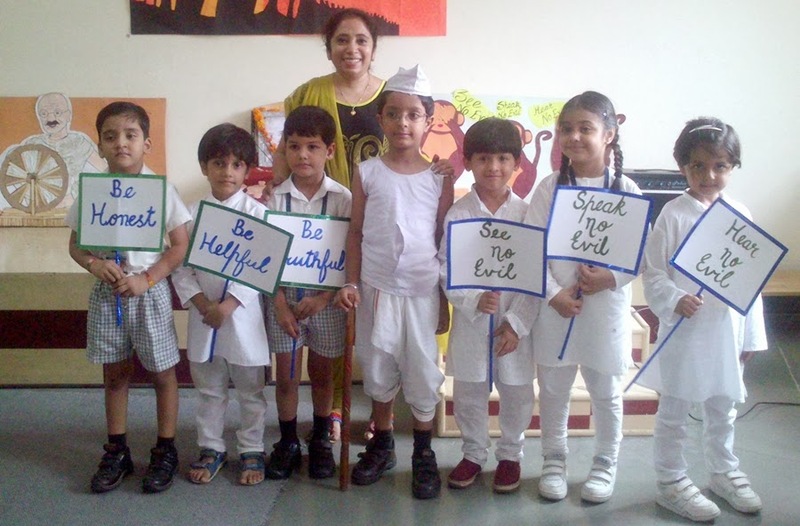 Paramount International School celebrated Gandhi and Shastri Jayanti in a striking way by portraying the life of Gandhi through a lively song enactment. The scene of Gandhiji’s assassination sent shivers down the spine. The ease of the students while presenting the song enactment won loud applauds. 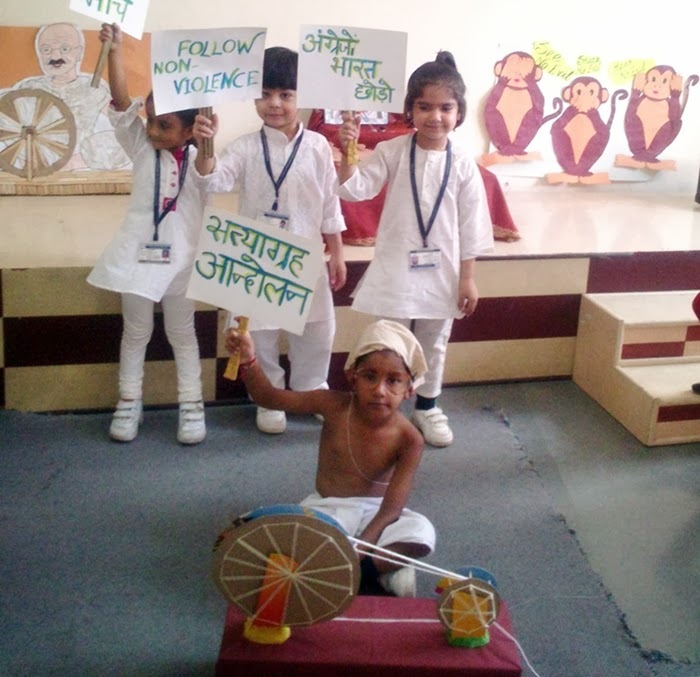 Another outstanding feature of the celebration was the explanation of the significance of the three monkeys of Gandhiji. As the occasion was a befitting one, the meaning of our National Anthem was also explained to the students. All the students were wearing either a head gear, a wrist band or a badge with Gandhiji’s preaching written on them. Mrs.R.L.Saroha, M.D. of the school made the students recall the slogans of Gandhi as well as Shastri and urged them to follow their example of Simple living and High thinking. Delhi’s big day on climate on 20th Sept.